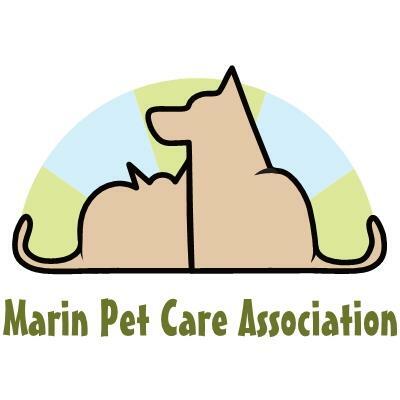 Marin Pet Care Association was originally formed as Dog Walkers of Marin (DWOM) in early 2000 to fight an ordinance that was about to be passed by the Marin County Open Space District (MCOSD), barring off-leash recreation for dogs. At the first Committee meeting on April 27, 2000, they were expecting to surreptitiously pass an ordinance to ban all off-leash dog walking on Open Space ... and were surprised when a large group of protesters turned up (organized by DWOM at short notice) forcing them to put it on the "back burner". For the full history visit the Archives page. We were successful in modying the ordinance into a workable compromise. * Pick up all dog excrement and remove from site, etc. etc. At the end of 2008 issues concerning commercial dog walking on Open Space fire roads resurfaced! Permits were not being renewed and we discovered that the permit process was being revamped. In January 2009, a random, small cross-section of Marin commercial dog walkers were invited to attend a private meeting with MCOSD to discuss re-defining and streamlining the permit process. It was at this time that we revitalized DWOM. They were open to receiving our input and suggestions, and we were encouraged to produce a proposal on behalf of commercial dog walkers. The purpose of our proposal is to devise a plan that works for both MCOSD and DWOM regarding the commercial dog walking permitting process. Since that time the dog walkers committee have met together weekly, working hard at putting together our proposal. It was presented on 3/12/09 to MCOSD representatives at the Civic Center, San Rafael, and was well received. "The one absolutely unselfish friend that man can have in this selfish world, the one that never deserts him, the one that never proves ungrateful or treacherous, is his dog ... He will kiss the hand that has no food to offer; he will lick the wounds and sores that come in encounter with the roughness of the world ... When all other friend desert, he remains."